When you want to skip the process of pre-cutting your shrink wrap and go directly from the roll to the object to be wrapped, Shrink Wrap Dispeer Racks & Stands are the helping hands you need. A roll of shrink wrap can weigh over 200 pounds! 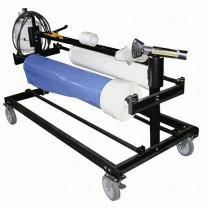 Take some of the weight of your shoulders by putting your roll on a Shrink Wrap Dispenser Rack or a Shrink Wrap Roll Stand. 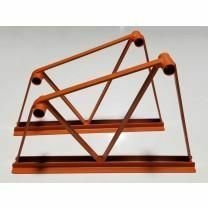 These durable racks & stands are light weight and made from high quality materials. 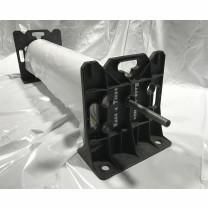 Note: Mr. Shrinkwrap is in the process of finding a reliable source for heavy duty poles/axles to fit our stands. 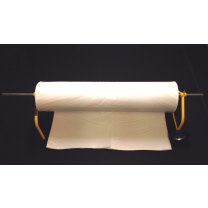 Currently, the weight-bearing main pole/axle is not included with our shrink wrap stands.